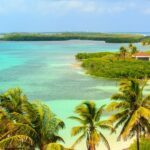 Getting the trip of a lifetime is worth a lot of things, usually a large price, but on this tour you won’t have to empty your pockets to have a better and more convenient tour experience. 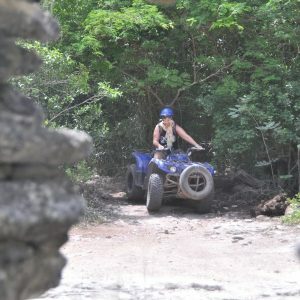 Go all out with this ATV tour from Playa del Carmen, there will be nothing to compromise here. 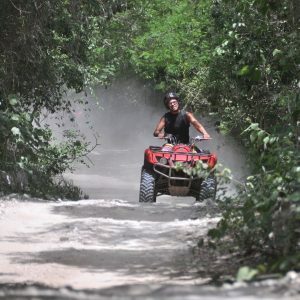 You can choose to ride single or double with a friend as you adventure through the beautiful Yucatan jungle where you may see a variety of jungle animals including spider monkeys, coatis, or different kinds of Caribbean birds. 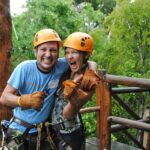 On this tour you’ll visit an underground dry cavern named “el puente” that is perfect for the adventurer who is hoping to get a peek into the underground world. 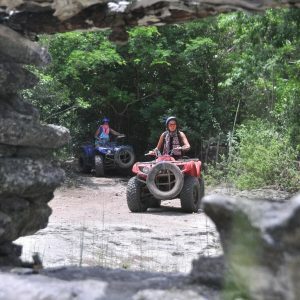 You’ll also get to take a look at a cavern cenote and also an open cenote. These will give you the opportunity to really appreciate the power of nature and all that it can do. 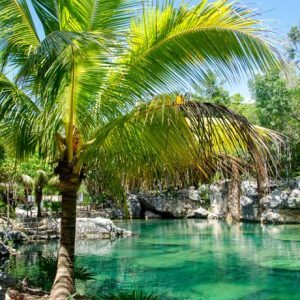 Get up close and personal with an aquatic zipline into the cenotes, enjoying the view and the time to swim and take in all that is around you. This is often a highlight for those who have never seen a cenote before. 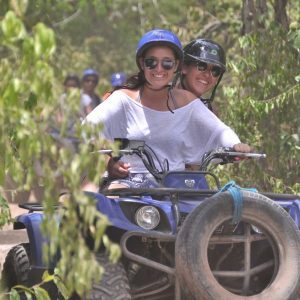 You’ll be provided transportation from your beginning in Playa del Carmen to your return in an air conditioned vehicle to make sure that you are always comfortable. 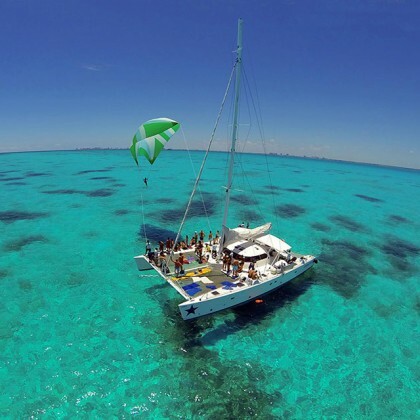 For your convenience, a light lunch of a sandwich, snack and water will be provided so that you are well-fueled for every part of the adventure. 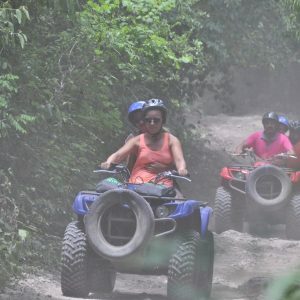 This is a fantastic ATV tour for the back packer traveler or the whole family alike hoping to see a bit of the Riviera Maya’s jungle nature. 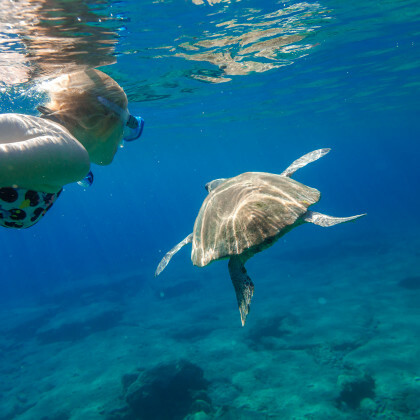 Morning Tour: Hotel pick up approximately 6:00 – 7:00 a.m., Tour returns between 11:00 – 12:00 p.m. 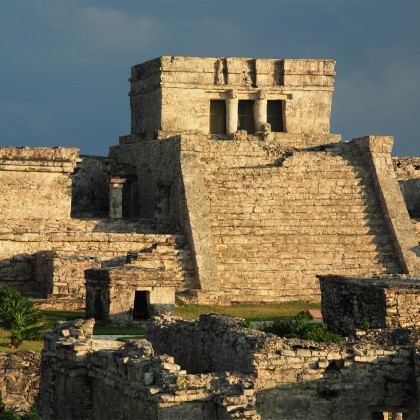 Afternoon Tour: Hotel pick up approximately 10:00 – 11:00 a.m., Tour returns between 3:00 – 4:00 p.m.